On March 16, 2016, Congressman Dana Rohrabacher introduced the “Space Exploration, Development, and Settlement Act of 2016” into the U. S. House of Representatives. 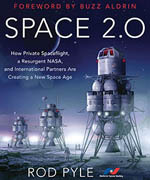 The Act states as its purpose “To require the National Aeronautics and Space Administration to investigate and promote the exploration and development of space leading to human settlements beyond the Earth and for other purposes.” (For a PDF copy of this Act, abbreviated name, the SEDS Act, click here). This is not a typical Act: It actually amends the official purpose of NASA, effectively making the vision of the National Space Society a NASA objective. NSS and one of its precursor organizations, the L5 Society (which created NSS in 1987 via a merger) have been advocating the idea of Space Settlement since 1975. Ten years ago the introduction of the SEDS Act would have been a source of laughter. In 1975 it would have been insane. NSS has been particularly aggressive in promoting Space Settlement in 2014-2016. 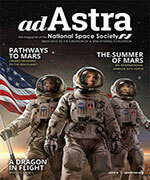 For some of the details, see my column, “We Are Winning” in the Fall 2015 issue of Ad Astra. In addition, NSS partnered with the Space Frontier Foundation in February of 2015 to create the Alliance for Space Development (ASD). Since its inception, ASD has aggressively promoted the SEDS Act in Congress. This effort has included three blitzes (large numbers of organized visits by citizens with members of Congress). Merely introducing the Act is important for advancing the idea of Space Settlement. Obviously, passage of the Act would be even more important. NSS is now engaged in what will probably be a two-year campaign aimed at accomplishing passage. You can help by asking your Representative in the House of Representatives to support the Space Exploration, Development, and Settlement Act (H. R. 4752) by becoming a co-sponsor. The Act requires the administrator of NASA to report every two years concerning progress made toward space “…settlement and a thriving space economy.” Passage would dramatically raise the credibility and importance of Settlement for those involved in the space programs of all nations. Perhaps of even greater importance, passage would allow NSS to point to this fact and use the enormous prestige of NASA to help spread our vision of Space Settlement and a prosperous human future beyond space circles to all of society. This article was written by Mark Hopkins, Chairman of the Executive Committee of the National Space Society. The article originally appeared in Ad Astra, Summer 2016.